As we've said numerous times before, Android is extremely flexible when it comes to customization. That's one of the reasons so many people choose an Android device over something different. However, installing live wallpapers and third-party widgets aren't the only ways of personalizing an Android device. There's a number of communities online dedicated to coding full-fledged Android ROMs, loaded with unique features and personalization options. Here we've picked some of the best custom Android ROMs available out there. Check them out below and feel free to try them, as long as you have the technical skills to do so. Just be careful as the procedure of flashing a custom Android ROM is a tad complicated, not to mention that the hack voids the device's warranty. You've been warned! Paranoid Android features the so-called Hybrid mode, allowing one to scale every app, widget, or a system component. You can choose a mode for every element without even having to adjust the system's DPI setting. Oh, and it comes with colorful, cartoonish wallpapers. Here's the only Android ROM that's supposedly infused with magical unicorn bytes – AOKP. It lets you customize your toggle buttons and even add your own. Custom vibration patterns are also included. Swype gestures can be used throughout the interface. Lots of popular smartphones are supported, including the Samsung Galaxy S4 and the HTC One. CyanogenMod is regarded as the most popular custom ROM available on Android. It is loaded on millions of Android devices worldwide and it supports a very broad range of smartphones and tablets. Stable releases based on the most recent version of Android available are being released on a monthly basis. LiquidSmooth is based on Android 4.2.2 and features many of the modifications found on other popular custom ROMs. As the name suggests, the ROM is meant to be as smooth and responsive as possible. The software and hardware buttons and the status bar can be customized. Themes are also supported. MIUI is a ROM packed with tons of cool features, including a virus scanner, an anti-spam tool, data usage counter, back-up manager, and a service allowing one to find their lost device. Themes are also supported, allowing one to change the look of their home and lock screens. Among the many supported devices are the Samsung Galaxy S III, HTC One S, Google Nexus S, Samsung Galaxy Nexus, and the HTC HD2. 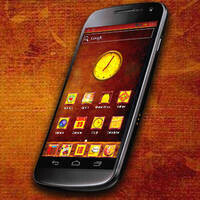 Jelly BAM is a custom ROM made with the idea of being the most complete Android operating system available. It combines all the features found on popular open source ROMs such as CyanogenMod, AOKP, Paranoid Android, and more. Sony's Mobile BRAVIA Engine, XLoud, and an Audio DSP manager are on its extensive list of features, along with a theme selector, and software for HDR photos. Jelly BAM can be installed on over 20 Android devices. Avatar ROM can be customized using one of the many themes made for it, available for download from the project's page. That's possible as the ROM features the highly customizable Bazooka launcher, which is an extended version of Trebuchet. You're free to make your own theme as well by following the tutorials available online. The ROM is available for a number of Android smartphones, including the Samsung Galaxy S III, Galaxy S II, the Google Nexus 4, Samsung Galaxy Note II, and many more. The list of cool features offered by SlimBean is pretty long. Listed on it are the custom lock screen shortcuts you can set, the customizable notification drawer, the UI color inverter, and the SlimPIE used for setting app shortcuts. The ROM works on many smartphones and tablets, including the Samsung Galaxy S and the Nexus series, the Sony Xperia S, and the HTC One X.
I knew all of these and I am currently rocking CyanogenMod 10.1 on my tablet and PAC ROM on my Samsung galaxy s.....best package ever! I use my phone for online banking, so i don't install custom roms on my main phone, I think there is less security. But i do root it to get more benefits and features. By putting the power of certain security features in your own hands, a custom ROM can be quite a bit more secure than a manufacturer's offerings. CM is much more secure than stock Android. Also, they are developing a new secure mode that will allow you to block permissions for apps. After dealing with Jokersax's disappearance from the Internet and not searching for any ROM to replace his, I was inspired by this article to seek out any new ROMs that support the Atrix. I have found that Avatar does support it. I am trying it out now, and thus far, not only is it on a newer Android version (4.2.2 instead of 4.0) it seems to be more responsive and COMPLETE as a ROM than Joker ever got his to be. After about 40 minutes of work I have the ROM about where I need it to be at least for the day, and will have great fun tinkering with it as time goes by. Thanks, Phonearena! What are your plans for your next phone? same here.meanwhile i appreciate the hardwork the homebrew community puts into these devices,non-nexus devices (specially exynos/tegra devices) are pretty crappy with AOSP roms. Not to be rude, but the pics for Avatar ROM looks like boo boo. I have tried 'em all But I keep coming back to AOKP. Best RoM ever. Me2 Great ROM Loving it! Btw I do all of my online banking from my phone. Never had a single problem. Waiting for next mr1 milestone from TEAM KANG. If Android were as flexible and stable as the Windows kernel or Unreal Engine, I wouldn't say this, but clearly it isn't. Flexible does not mean less complicated. Flashing a custom ROM must be the last thing that's on the minds of the majority of people who choose Android because it's so complicated. So, they contend themselves with basic customization, which is available on all platforms. That's why Android is no better than any other OS. WP FTW!!! It's ridiculous that the hack voids the warranty. In-depth customization is not worth the risk of hacking and killing phones. You are comparing a mobile OS to a desktop OS and then a video game engine. I have no idea what you're trying to portray here but you're not doing it right at all. WP's customization is limited to re sizing tiles and re-arranging them. How can you say that this has any bit of an advantage over Android? You don't even have to flash a ROM on your phone to customize it; there are custom launchers available in the play store such as Nova Launcher, ADW, etc., in which you can apply various themes and icon packs. Honestly, it sounds like you know nothing about any other platform and you're in conjunction with all of the WP fanboys that are polluting tech sites. Check out my profile and look at my long list of phones I have had throughout the years and you will see that I have had almost every smartphone OS. The first phone I rooted and flashed a ROM on was the Droid Razr, so even before that I enjoyed the customization that Android gave you. You misunderstood my comment. Let me break it down for you. My comparison was merely for the sake of justifying Android's inferior level of customization. Given that it's the most popular mobile OS, a direct comparison with its desktop and video game engine counterparts makes sense, as far as the limits of the software realm are maintained. So, I'll say it again because it sounds like you couldn't quite assimilate my previous point. Android's software architecture is subpar to that of its desktop OS and video game engine counterparts. I hope that I could enlighten you with that statement. And, unless you can provide factual proof, your oh-so 'long' list of six phones is, quite frankly not so long. I'm impressed! For the record, I never said that WP 'has any bit of an advantage over Android.' Your logic, or lack thereof, proves that your comment is devoid of any possible credibility, further ascertaining my point that any response you'll provide is futile and borderline paranoia. You still never explained why you're comparing it with a video game engine. And I don't think that a person, being me, would lie about those choices of phones as their list of phones. In actuality, I provided more logic in my argument than you have in any of yours. In fact, other than moving in a complete, repetitive circle, you still have not proved to me why Android is inferior to any other mobile OS out there other than ones that have been in development or deployed for a considerably longer period of time than Android, in which, those are not mobile operating systems. Any argument that you're trying to make still does not reflect the fact that there is no other mobile OS out there that has the depth and customization ability that Android gives you. You said WP FTW and implied that you have no more of an ability to customize an Android phone more than you do across all platforms. I said you're wrong, because of Nova Launcher, ADW, Go Launcher, etc. Heck, on any other OS you can't even set a live wallpaper. Widgets? Android was there first. Either you're a really bad troll (with a Nokia icon) or you really are just that ignorant that WP is inferior in a lot of ways to Android and even iOS. The only thing I can say that WP has over Android is the fluidity of the OS. That's it. I will break it down for you (since you have obviously never owned an Android device): Hardware - Android can support quad core architecture and above. One might say that WP doesn't need that kind of hardware, but as games get more advanced and better graphics are needed to support then, being stuck on a quad core with Adreno 225 graphics isn't going to cut it. Customization - For stock Android, depending on the manufacturer, there are different skins that you can apply alone without downloading anything from the App store. HTC has themes on its sense interface that a user can change on their own without using a launcher. Nonetheless, live wallpapers are on every new android device by default, something you cannot get on WP. Download a launcher, and you can have any interface that you want on the store, free or of charge. Advantage: Android. Screen: Android supports 1080p resolution. WP supports up to max 720p resolution. Advantage: Android. Fluidity/Navigation: Stock Android is on its way to becoming essentially smooth, but it still has some work to do. Sense 5 is easily the smoothest skin I have used (aside from TW on the Note 2/GS4) and in time Android's hardware will actually mean something. Android is still fragmented and has a way to go before it is fluid. WP has buttery smooth navigation even on lower end devices and rarely did I ever encounter any hanging on apps when I opened them. Advantage: WP. Don't think I need to go any further, you get my point by now. I wouldn't have cared to respond back, but seeing how you wrote so little, I'd just like to inform you that your response is completely irrelevant. I appreciate the effort. You really went overboard, albeit off-topic as it pertains to my original comment. Please refer back to it, and do provide a more concrete response. I would, however, like to thank you for pointing out the obvious differences between WP and Android. To best reply to your comment, I'll quote your own lines, if you don't mind. 'You still never explained why you're comparing it with a video game engine.' Never before have I seen a statement so extraneous and redundant that it's actually downright stupid. Can't you read? I clearly underlined the reason in my previous response. 'Any argument that you're trying to make still does not reflect the fact that there is no other mobile OS out there that has the depth and customization ability that Android gives you.' WOW. Where did you ever get that from? I'm speechless. I take it you're a retard. I never said that Android is not the best when it comes to customization. Nor have I compared it to any other mobile OS for that matter. It really makes me wonder: Are you mentally unstable? Or 'are you really are just that ignorant?' The former would seem more likely because once again, you proved to fail at understanding my response. 'Don't think I need to go any further, you get my point by now.' Think again. "I take it you're a retard. I never said that Android is not the best when it comes to customization. Nor have I compared it to any other mobile OS for that matter." --->So, they contend themselves with basic customization, which is available on all platforms. That's why Android is no better than any other OS. WP FTW!!! Taco is this you? Just quit man. Do us all the favor. Lmfao! There's no jailbreak There's no Custom Roms There's no Quadcore There's no 1080p There's no 400ppi There's no hardly any apps and games! Well at least there's options in iOS and Android, but in Nokia Wp8, there's nothing! A total lock down! You must not love freedom but prefer doom? O wow know Nokia wp8 will be getting all the specs and CPU Gpu that Android all ready has! Finally! O wait when? 2014 June? I denial and more like "Jealous" you are! Wp8 down south more like, not FTW! With 4% share yea FTW RIP!